Compared to Mondays, I think hump day Wednesdays are worse. It's smacked in the middle of the week when I'm either so tired from the first two weekdays or I'm rushing everything out in preparation for the weekend. Aye? Just a couple of weekends ago, I was gifted these essential oils from Nu Skin and they've been doing a pretty good job making the midweek slump so much more bearable. Unlike most oils I've tried in the past, these Epoch Essential Oils are the bomb dot com. They're multipurpose, so pure (no hint of synthetic notes to the nose! ), and wildly efficient. Like the zest of a lemon peel, this vibrant, light essential oil gives any space a feeling of crisp freshness that will surprise and delight. Epoch Lemon can be used to help remove odors. The natural, floral aroma of Epoch Lavender essential oil provides a sense of tranquility and peace. Enjoy a relaxing end to even the busiest day with the calming benefits of Epoch Lavender. Put a few drops in a warm bath or rub this oil on your pillow at night to calm and soothe. Epoch Assure is a potent blend of cinnamon, clove, and other pure essential oils that help the air and surfaces feel excep- tionally clean. 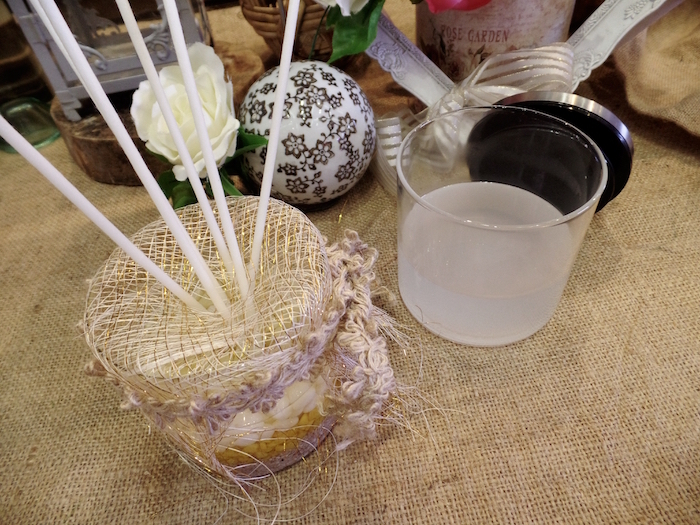 It is an ideal essential oil blend for neutralizing odors or elevating your surroundings. Cinnamon and clove are known for their powerful aromas and this blend delivers an engaging combination of enjoyable scents. Epoch Move is an invigorating topical blend of wintergreen and juniper essential oils, used to temporarily soothe. During these moments of discomfort, mix Epoch Move with skin. When applied to your skin, this soothing blend offers a cooling sensation. Boost your senses with Epoch Brisk essential oil blend and catch the wonderful scents of a pine and eucalyptus forest after a cleansing rain. The potent aroma of Epoch Brisk comes from eucalyptol, a naturally forming plant chemical. Eucalyptol has a fresh camphor-like smell, which gives this essential oil blend a strong, penetrating, and pleasant aroma. Quiet your mind and calm your spirit with Epoch Unwind, a centering blend of lavender, bergamot, and other balancing essential oils. With Epoch Unwind, you can create a feeling of harmony and peace even amid the most hectic day. Carry this essential oil blend with you in the car, at the airport, or any other place where your busy life takes you. Simply place a drop or two in your palms, bring your hands up to your face, cover your mouth and nose, and breathe deeply. Topically apply the Epoch Essential Oils to the skin. Don't forget to always follow recommended safety instructions when applying essential oils to the skin. 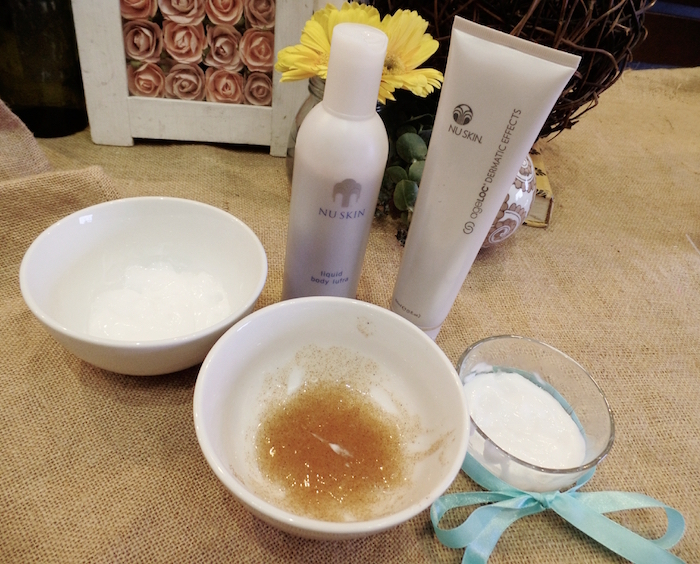 Mix 1 teaspoon of Enhancer Skin Conditioning Gel with 1 drop of Epoch Essential Oil Lavender or Unwind. Do not apply on open wounds. Mix 1 tablespoon of brown sugar, a dash of honey, and a bit of olive oil, 1 drop of Epoch Essential Oil Assure until sticky in a small container. Gently apply with a circular motion on your lips. Do this twice weekly. Mix 1 drop of Epoch Essential Oil Burst with 5 teaspoons of Liquid Body Lufra. 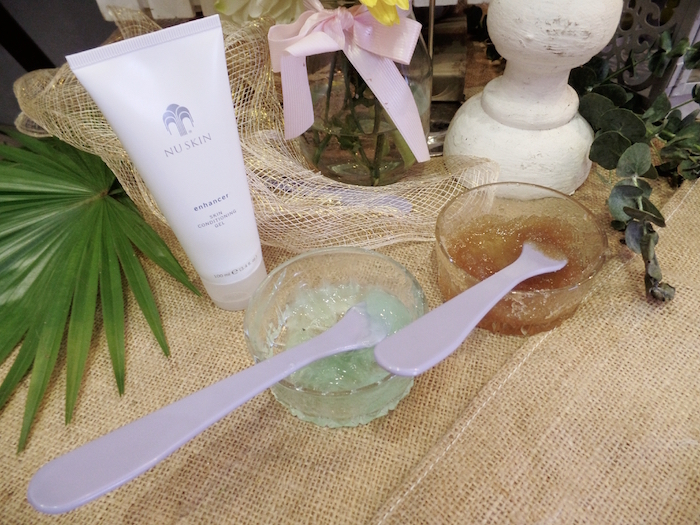 Gently rub the mixture on dampened skin. Rinse with warm water. 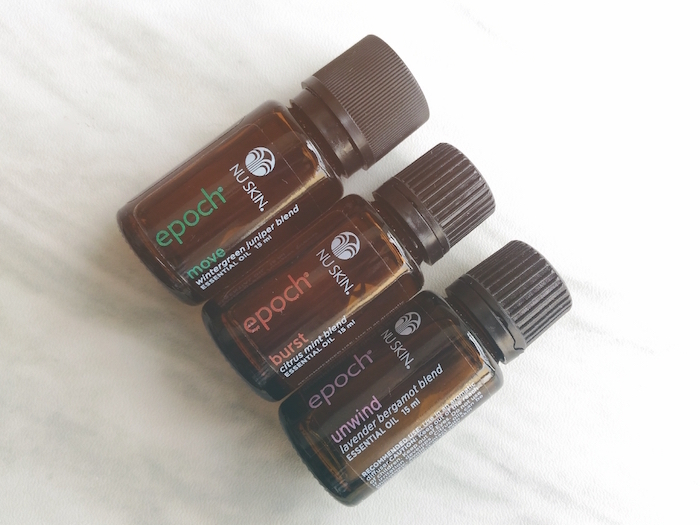 Mix 1 drop of Epoch Essential Oil Burst with 5 teaspoons of Body Smoother to infuse the Vitamin C rich content of oil needed by our skin to look supple and healthy. Combine 1 cup of fine cornstarch, 1/3 cup of baking soda, 1/2 cup rice flour (or tapioca or arrowroot powder), and 30 drops of Epoch Essential Oil Lavender or Unwind. Store the mix in a jar or container. Mix 3-5 drops of Epoch Essential Oil Blend in NaPCA Moisture Mist to give you that misty fresh feeling of freshness. Avoid the eyes and mouth. Combine1/2 cup topical blending oil, 2 tablespoons of vodka, 2 tablespoons of one or a combination of the following: grapeseed, jojoba oil, almond oil, olive oil, 60 drops Epoch Essential Oil Assure, 40 drops Epoch Essential Oil Brisk, and 10 drops Epoch Essential Oil Lavender in a small spray bottle. Shake well before use. Combine 1 cup white vinegar, 2 cups hot water, 15 drops of Epoch Essential Oil Lemon. Spray the mixture inside the refrigerator or microwave then scrub and wipe using a damp cloth. The Epoch Consumption packs (Php 7000) has three sets available: Pure Oils Set (Lavender, Lemon, and Peppermint); Blissful Set (Brisk, Unwind, and Move); and Awakening Set (Assure, Burst, and Move). Already a fan? 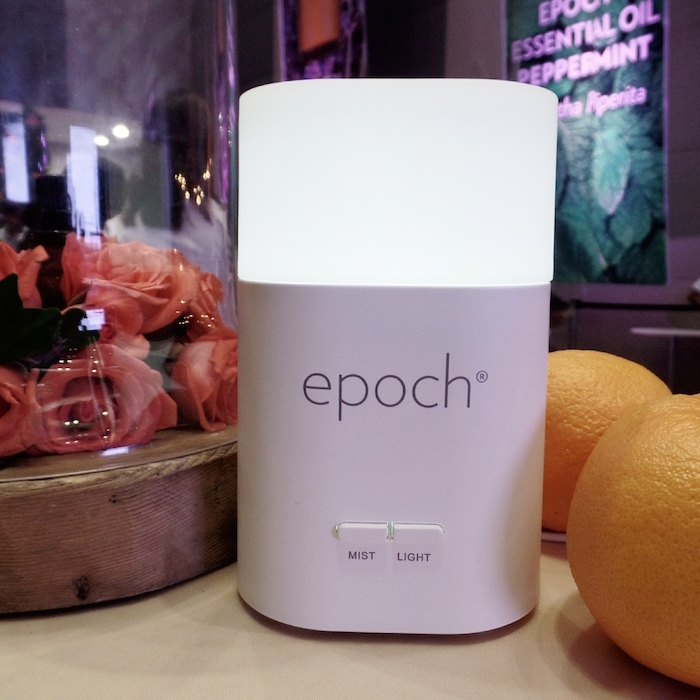 You can also purchase the Epoch Essential Oils Package (Php 25000). This luxurious kit comes with all 8 oils, a topical blending oil, and mini mist diffuser. 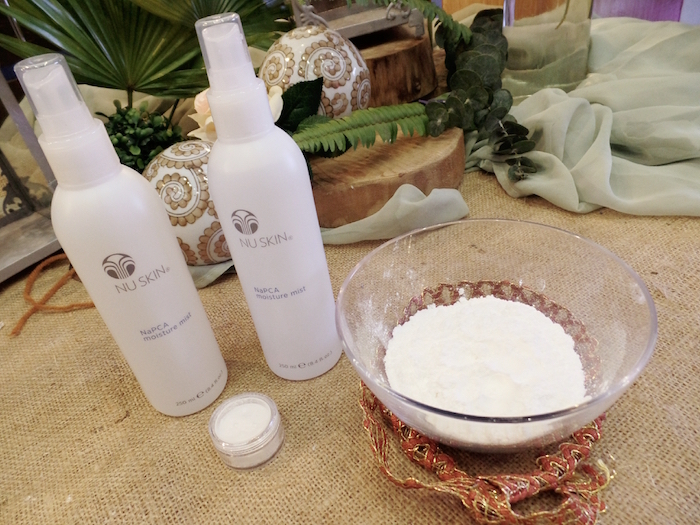 For more information on this range and how to purchase, check out www.nuskin.com.ph or call at 8NUSKIN (8687546). 2 comments on "Daily Luxe: Nu Skin Epoch Essential Oils"
Thank you for this awesome review, Phoebe! We're glad you enjoyed Epoch Essential Oils as much as we do. More power to you!